Whenever the Academic Staff Union of Universities (ASUU) convenes a press conference, journalists can already reel off the top three agendas. One, strike. Two industrial actions. Three, the downing of tools. Of course, the agendas are never written out this way, but whatever is up for discussion is all semantics. ASUU has become so boringly predictable in its method of agitation that the students for whom it claims to be fighting could someday rebel against it, and the government it seeks to embarrass could someday call its bluff. This is not an exaggeration. In July, after the killing and abduction of some University of Maiduguri UNIMAID lecturers as part of a wider oil exploration team attacked in Borno State by Boko Haram, ASUU threatened to go on strike. Never mind that on August 14, when the ASUU addressed a press conference to officially commence its latest industrial action, no single mention was made of the abducted UNIMAID lecturers. Instead, ASUU listed five issues: funding for revitalization of public universities, Earned Academic Allowances (EAA), pension, university staff schools, and unpaid salaries. Truly, the Nigerian public tertiary education system is in a mess. In many universities, learning facilities are inadequate and obsolete, lecturers are overworked and the best of them continue seeking greener pastures abroad, hostel accommodation for students are shabby. Generally, universities are operating beyond their carrying capacities, consequently breeding systems where frustrated lecturers are dealing with disenchanted students. The end result, as expected, is a chaotic society as ours, where competence and integrity are usually mutually exclusive. However, the content of this 2009 agreement and the conduct of university managers in recent years are in dissonance with ASUU’s much-vaunted slogans of creating “universities that will be pride for all”, “securing the future of our children” and establishing universities “capable of producing a country of our dream”. Let’s travel back a decade to ASUU’s demands from the federal government. In January 2007 when the federal government team led by Gamaliel Onosode and that of ASUU led by then President Abdullahi Sule-Kano began meeting to renegotiate the 2001 agreement, the terms of reference for the resultant committee were to: (i) reverse the decay in the university system, in order to reposition it for greater responsibilities in national development; (ii) reverse the brain drain, not only by enhancing the remuneration of academic staff, but also by disengaging them from the encumbrances of a unified civil service wage structure; (iii) restore Nigerian universities, through immediate, massive and sustained financial intervention; and (iv) ensure genuine university autonomy and academic freedom. However, when ASUU listed the issues for negotiation, they were: (i) conditions of service, (ii) funding, (iii) university autonomy and academic freedom, and (iv) other matters. First observation, “condition of service” — candidly put, “salary upgrade” — cannot constitute the most important step in “reversing the decay in the university system”. It is worrisome that ASUU treasured condition of service over infrastructure upgrade. ASUU and FG agreed to have a “separate salary structure for university academic staff” which would see a lecturer earn as much as N7.5m per annum. They reached an agreement on Earned Academic Allowances (EAA), with assistant lecturers to receive N15,000 per student per annum, senior lecturers N20,000, and readers and professors N25,000 as postgraduate supervision allowance; the lecturers can receive the payments for up to five students. Added with other allowances — for teaching practice/industrial supervision/field trip, honoraria for internal/external examiner (postgraduate thesis), and honoraria for external moderation of undergraduate and postgraduate examinations — a lecturer can make up to N580,000 per annum in earned allowances. There is N200,000 for external assessors of candidates for the position of Reader or Professor, plus a Responsibility Allowance that sees Hall Wardens receive N150,000 per annum and Vice Chancellors/Deputy Vice Chancellors/Librarians receive N750,000. A list of other nonsalary benefits includes improved proposals for vehicle loan/car refurbishing loan, housing loan, research leave, sabbatical leave, annual leave, sick leave, maternity leave and injury pension. To be clear, I do not support arguments in some quarters that ASUU’s remunerative demands are unreasonable. ASUU — and indeed any other labour union — reserves the rights to propose whatever conditions it considers most effective for motivating its members for optimum job performance. 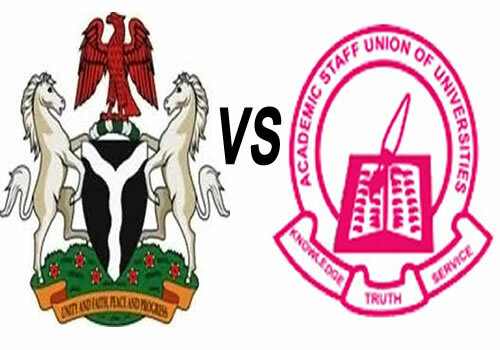 But there is a problem: while ASUU agrees to be disengaged from the encumbrances of a unified civil service wage structure, it goes on to demand that whenever there is a general increase in public sector salaries and allowances, the remuneration of academic staff shall be correspondingly increased. Simply put, ASUU wants to eat its cake and have it. In the 2009 agreement, ASUU ensures that the renegotiation team agrees to its salary demands but as soon as discussion shifts to other matters, the team only recommends. And so, on matters involving the Education Tax Fund, Joint Admissions and Matriculation Board (JAMB), amendment of the National Universities Commission Act (2004), and funding of universities, which are major institutional channels for reforming education, what ASUU does is to recommend, agree to recommend or project. Make no mistake about this: the number-one reason ASUU is currently on strike is that it wants N825bn from the government, being the accumulation of yearly release of funds to universities as contained in the 2009 agreement. Based on the 2013 MoU, FG was to release N200bn to universities in 2013, and N220bn every year till 2018. By now, N1.3trn should have been released in all but so far only N475bn has. Blame the government! An agreement is sacrosanct regardless of which government signed it. But there is a question ASUU has failed to answer. What happened to the N475bn released so far? The best-kept secret on university campuses is that vice chancellors saw so much money between 2013 and 2015 that they were scared; the bulk of it was mismanaged and embezzled. White-elephant projects sprang up all over, and at costs that were not commensurate with the result. When Kunle Adebajo, a student of the university wrote about such needless projects last year, UI authorities threatened the young man with rustication. The period also marked the rise in the recruitment of ghost workers and under-declaration of internally-generated revenue. This kind of corruption among university administrators is nationwide, yet ASUU, despite its preponderant influence, has done nothing to restrain errant VCs. Also, who are the people frustrating the FG’s efforts to audit the previous release of funds to universities? ASUU should be interested. The government released N23bn EAA to universities in December and has insisted further release must be preceded by an audit of that tranche, but it’s a conversation that ASUU is uninterested in. ASUU is a part of a growing university culture of gagging student unionism. ASUU was vociferous in its criticism of Governor Yahaya Bello’s recent ban of the academic union in Kogi State, but the same ASUU has been mum since May, when VC Idowu Olayinka proscribed student unionism in UI. It’s just hypocritical for ASUU to continue holding government accountable to education yet subscribe to Olayinka’s view that management cannot be held to account by students. ASUU’s mode of agitation is blighted by a number of fallacies: that all the problems with university education will be solved by funding, and all the funding must come in the form of government handouts; that lecturers are more important than other professionals and so should operate at a level beyond their society. The last, for example, is responsible for ASUU’s demand for exemption from the FG’s TSA policy. TSA is not an angelic policy. While it no doubts help to reduce profligacy in public offices, it can also slow down the pace of governance. It is far nobler for ASUU to present arguments against the general implementation of the policy than to obstinately demand the exclusion of universities. In any case, TSA has handicapped universities to spend money at will and without gauge; at the moment, this looks like ASUU’s grouse. ASUU claims that TSA has hampered research in universities. But Abdullahi Baffa, Executive Secretary of TETFUND, said earlier in the month that since the establishment of TETFUND in 2009 with the seed fund of N3bn plus an additional N1bn in 2016 to beef up the intervention, only N1.72bn had so far been disbursed to finance researchers in different thematic areas due to the low quality of research proposals. That’s at least N2.28bn still unexplored by, and ASUU doesn’t seem to be noticing. If ASUU is truly interested in the emergence of “the country of our dreams”, it must stop using students as cannon fodders while fighting for the pockets of its members. It must lead the students by example — by being a bastion of probity, accountability, tolerance for dissent, and proffering robust, intellectually-driven and empirically-backed solutions to Nigeria’s tertiary education woes. Other than that, ASUU risks being seen by all, including undergraduates, as a union of strikers rather than a union of academics.